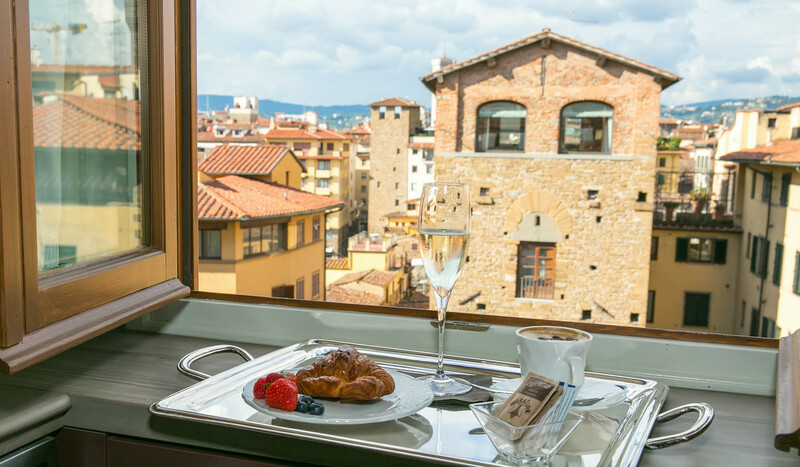 Today, Florence is almost certainly the greatest artistic treasure house in the world, so a rewarding place in which to have a home. 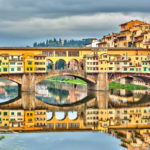 Florence, the capital of Tuscany had a turbulent history in the medieval period, but then came centuries of rule by the Medici family which allowed the great artistic flowering of the Renaissance to take place. 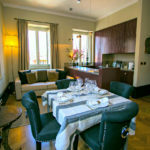 This stunningly appointed apartment is made up of two separate one-bedroom apartments that share a common exterior door; a perfect space for two couples or families with children. 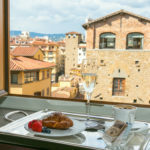 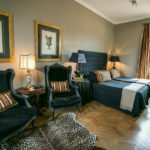 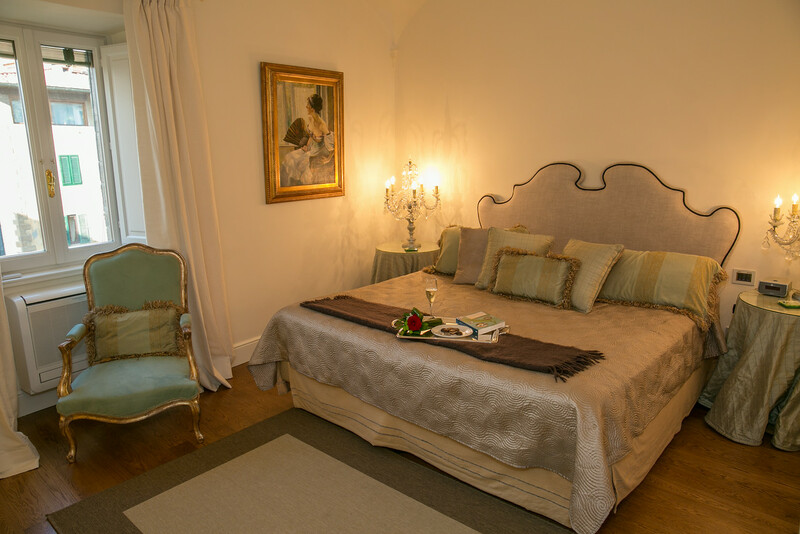 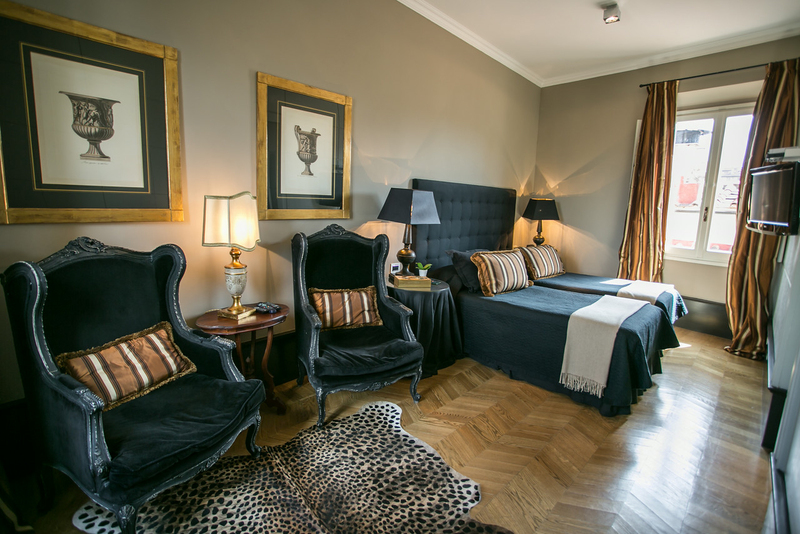 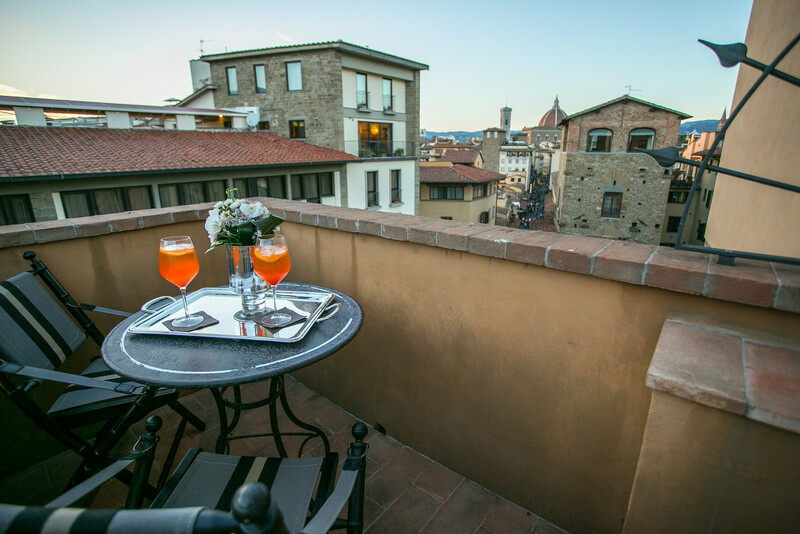 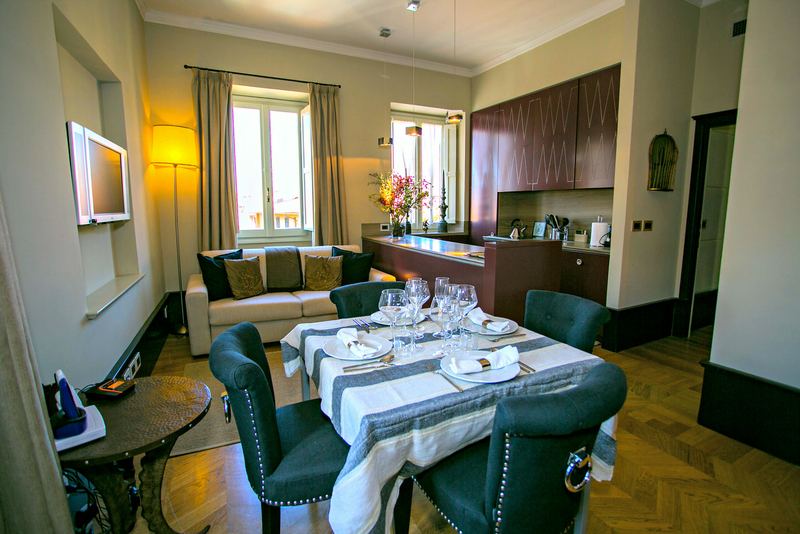 Your beautifully finished accommodations sit on the end of the Ponte Vecchio. 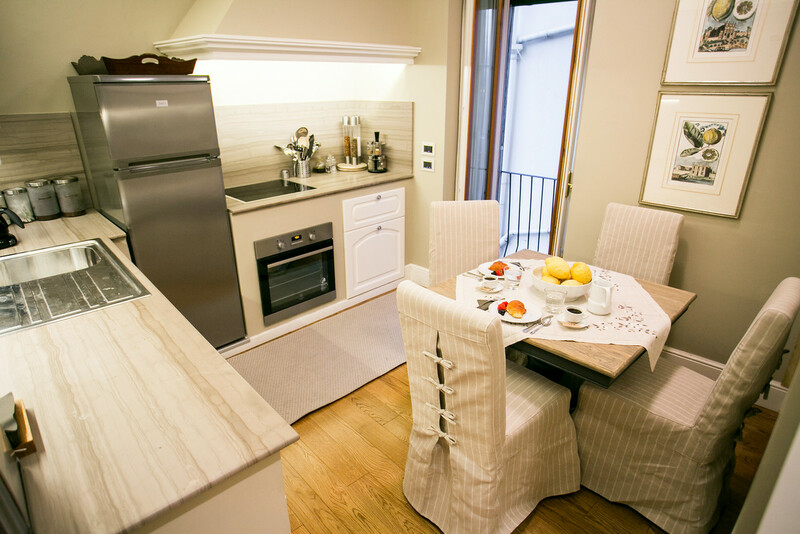 From its prime location, you will be able to practically touch the Vasari Corridor! 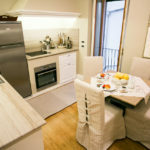 All around, are the historic towns and villages and beautiful countryside of Tuscany, together with the delicious food and wine to be found in the many restaurants. 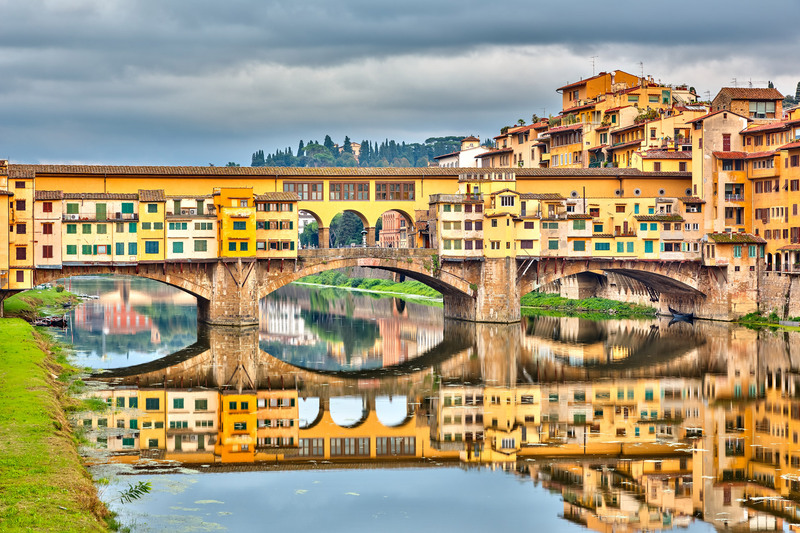 So much to see and do in Florence. 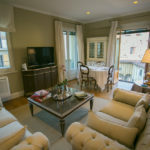 To Sum It Up: If you’re looking for a comfortable home base between daily excursions around the Tuscan region, this is just the residence for you. 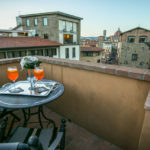 Or, if you’re longing to enjoy a private, romantic dinner on a terrace overlooking the Ponte Vecchio, this is your place also. 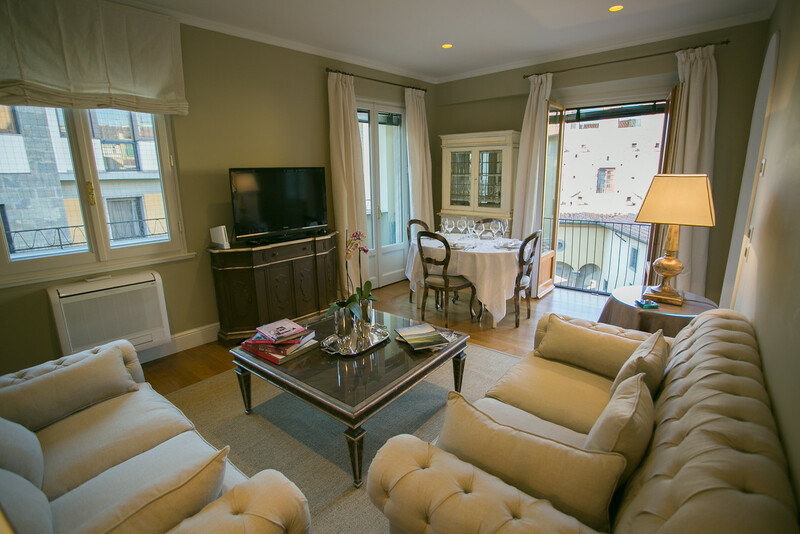 In short, your residence provides everything you need to fulfill your dream vacation.